A bill that has been three years in development will legalize single-game wagering for sports such as football, basketball, soccer and hockey. 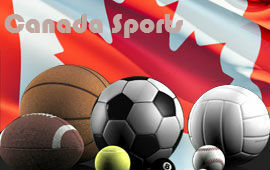 Currently, sports wagering is legal throughout Canada, but not in a single-game betting format. Because of this, a game like the Super Bowl cannot be bet. Provincial governments lose millions of dollars to foreign websites and illegal bookmakers. It has been estimated that there will be 150 million dollars bet on Sunday’s Super bowl, and these bets will not be placed legally. Many members of the Ontario government want to see casinos in the Niagara Falls and Windsor areas accept legal wagers for single-game sporting events. Along with Canadians, the money attracted by these border towns from the United States will be quite high. The House of Commons has already passed this legislation, but it awaits approval from the Senate. Known as the Red Chamber, this unelected body of parliament has only rejected legislation twice in its history. There are those who believe that this may be the third time. The most common reason given has been the lack of time members of the House of Commons were given to read the bill. Although the vote was unanimous in the house, it was a voice vote. Many of these representatives are asking the Senate to reject the bill. Bill Rutsey, who is the president of the Canadian Gaming Association, declared that the only people who are benefiting from single-game betting are criminals. It is estimated that the sports betting industry is at least 10 billion dollars. Because so much of this is underground, it represents unrealized revenue for provincial governments. Provinces across the nation have seen their revenues drop. Passing this bill will help to shore up budget shortfalls. In addition, in the Windsor and Niagara Falls area, it is estimated that 250 jobs would be created.